During the summer of 2017 SL (Stockholm Public Transport) renovated their railroads and railwaytunnels on Saltsjöbanan, as several technical installations needed upgrading and modernization to cope with the public transportation of the future. 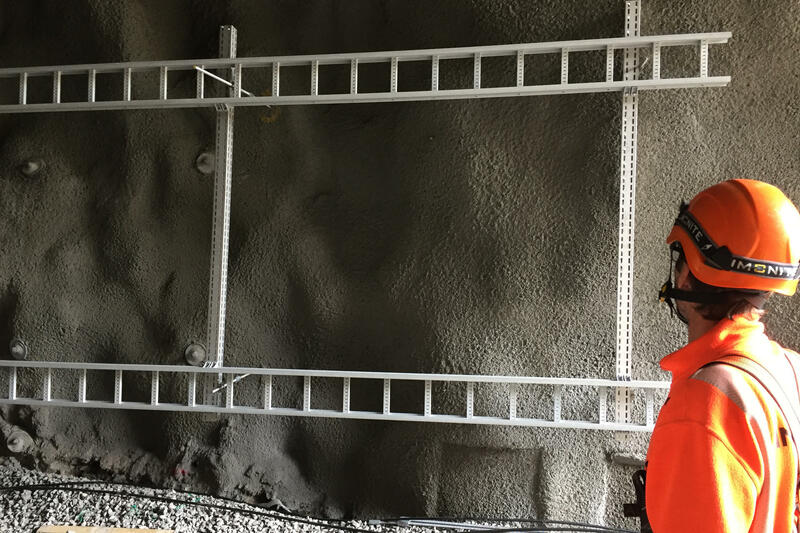 As a part of this project, Ögländ System AB, delivered cable ladders in Fibre Reinforced Plastic (FRP) and support systems in stainless steel to the Henriksdals tunnel in Nacka municipality, outside of Stockholm. The tunnel has undergone upgrade work with both sealing and expansion, and installation of new technical installations. It is currently equipped with Oglaend System's FOE100 cable ladders and Mekano® support channels. We are very pleased with Oglaend System's products. Their FRP products are easy to work with and due to their insulating properties, there are no concerns when it comes to electrical safety. - Patrik Angnell, Head of Construction at Infranord. Further ahead, Ögländ System AB is working in collaboration with Ramböll on the preparation of potential R&D solutions for several of SL's other railway projects.